Monitoring your blood sugar is an important part of getting and maintaining control of your diabetes. It is vital that you know the right way to test, when to test, and—most importantly—how to interpret your results. Proper testing can provide a wealth of information about how your foods, activity, and medications impact your blood glucose control. How much do you know? How often should people with type 2 diabetes test their blood sugar? d. They don't have to. There’s no right number of times to test daily. That’s something that should be determined by you and your doctor, with the end goal of better diabetes control in mind. Common testing routines can include testing upon waking, at bedtime, and before and two hours after meals. Remember that testing frequently certainly can’t hurt your diabetes control—in fact, it can really help it. The American Diabetes Association (ADA) suggests that people with type 2 diabetes who take multiple insulin injections daily should test three or more times each day. 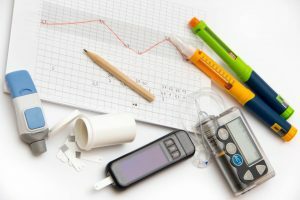 And while there is no official ADA recommendation for the number of times you should test if you are type 2 and on oral medication (or for controlling your diabetes through diet and exercise only), the ADA does say that self-monitoring of blood glucose is a good tool to achieve your blood glucose targets. Again, talk to your doctor or diabetes care provider about the testing routine that’s right for you. Postprandial testing measures blood glucose exactly two hours after the start of a meal. This helps you achieve the best control of your blood sugar levels, and makes sure that your mealtime insulin is meeting your metabolic needs for the carbohydrates you consumed. After a meal, glucose concentrations change rapidly, so the more information you can attain from frequent self-monitoring of blood glucose, the better. 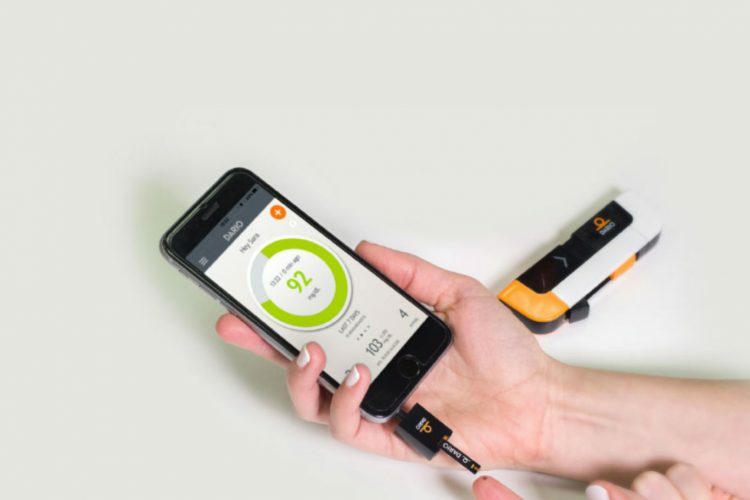 Monitoring your blood sugar levels and keeping them as close to normal as you can is crucial in maintaining good diabetes control and reducing your risk of diabetes complications. a. Make sure your hands are clean and dry. b. Clean the area with rubbing alcohol. c. Cool your hands off. d. Apply lotion to make the skin soft. It’s important to always wash your hands and thoroughly rinse them before getting a blood sample. Food and other residues can cause misleading high meter readings. Even hand lotion or antibacterial sanitizer can affect your results! If you don’t have access to soap and water, lick the finger you’ll be testing and dry it on a piece of cloth (or your shirt, if you’re in a pinch). Avoid using rubbing alcohol, as it dries out the skin and can also provide a false reading if the alcohol ends up mixed in with the blood sample. It’s also important to make sure your hands are dry. Having excess water on your fingertips while testing can dilute the result, causing the reading to be unreliable. Also, wet hands can make the blood droplet difficult to collect, potentially causing you to waste a test strip. a. Hold your hands above your head. b. Rub your hands together briskly. c. Pinch your finger first. d. Jump up and down. Rubbing your hands together or shaking them a few times gets your circulation going for a better sample. A warm-water rinse (and thorough drying) can also help get the blood flowing. And don’t forget to regularly use moisturizer to keep your hands soft (but save that for after testing, as lotion can interfere with test results!). This will help make lancing easier. a. Write down all of your results in a blood-sugar log. b. Only write down the numbers that are good. c. Use the results you get to make better diabetes decisions. d. Get upset about the result. The correct answer is A and C.
Writing down, or logging, your test results gives you important information you and your healthcare professional need to make smart decisions about your diabetes care. Including your meal choices can help provide valuable information regarding the ways in which food choices are impacting your blood sugar. Tracking your results can help you identify blood glucose trends and manage medications. The correct answer is 70-130 mg/dl. The American Association of Clinical Endocrinologists (AACE) suggests fasting, before-meal blood sugar targets of below <110 mg/dl (6.1 mmol/L). The American Diabetes Association (ADA) suggests slightly different targets of 70-130 mg/dl (3.9-7.2 mmol/L). 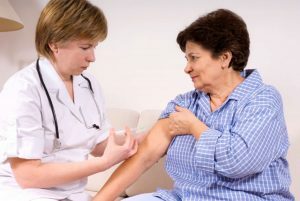 Remember that normal results vary by age (people aged 50 and older will have slightly higher levels), and recent illnesses, as well as medications, can influence glucose levels. Everyone has different blood sugar targets. The American Association of Clinical Endocrinologists (AACE) suggests that levels be under 140 mg/dl (7.8 mmol/L) two hours after the start of a meal. The American Diabetes Association recommends a two-hour after-meal goal of less than 180 mg/dl (10 mmol/L). To determine your self-testing blood sugar goals, work with your diabetes care team using your individual medical history and lifestyle requirements. A sample that is too small can cause inaccurate blood glucose readings. It can also cause a machine error, forcing you to redo the test and waste a test strip. Altitude, room temperature, and humidity can also affect your meter readings. Protect your meter from excessive heat and cold by storing it in a cool, dry place, and check the display for any temperature-related error messages. If an error shows on the screen after you turn on the meter, consult the user manual about how to proceed. Always read the manufacturer’s instructions of your particular meter to find out how much blood it takes for your meter to give you an accurate reading. If you have a meter that requires a larger drop of blood than you are able to obtain, talk with your health care professional about getting a meter that requires the least amount of blood. How Often Should I Screen For Diabetes?